A story of two friends who didn't know they were supposed to be enemies. A fox named Tod and a hound dog named Copper grow up in close proximity to each other. Tod was orphaned, and a kindly old woman takes him in, leaving him free to wander the countryside at will. Her neighbor is an ornery old hunter, and that is who Copper belongs to. 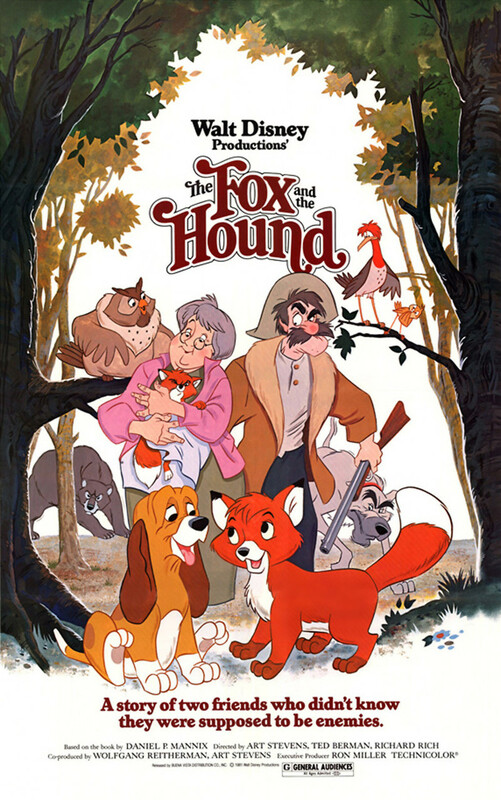 When Tod and Copper meet in their youth, they do not understand that foxes and hounds are natural enemies. The two enjoy some wonderful times together, but Copper's life gradually becomes more and more restrictive, and he sadly comes to understand that he is supposed to hunt creatures like Tod. Can their friendship survive once they have grown up into their adult roles, or will these best friends be forced to become enemies?